“The old Paramount Theatre on Washington Street, which burned a few years ago, was one of the favorite spots in town during all of our growing up years and even after we were grown. It had opened around 1910 [ed.note: actually 1913], and Mama told us that she went there on dates. During the 1920s and ’30s movies were really in their heyday. We didn’t call them movies but picture shows, and we did not say we were going to the theatre but to the picture show. “The Paramount had a stage and at one time had box seats like in big theaters on both sides of the stage. I don’t ever remember anyone sitting in them, but I’m sure on occasions they did. There were stairs at one side of the front of the building leading to a section of the balcony where the Negroes sat. They even had a different ticket seller than the whites, and the balcony was divided by a wall which separated whites and blacks. Before the movie started they would have someone down in front playing organ music. 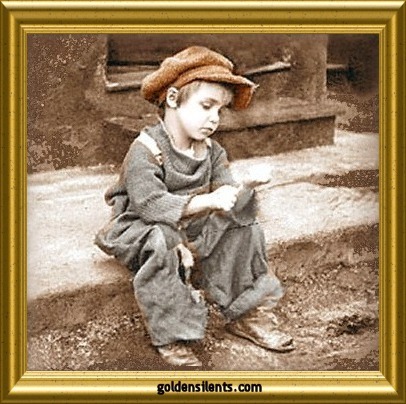 “Mama took us to a few shows when we were little, but until 1927 they were silent with the words of the actors and actresses running across the bottom of the screen. It was hard for the adults to read the words out loud to the little ones who could not read without disturbing everyone around them, so I spent most of the time walking up and down the aisles. Tiny says she remembers putting on Mama’s fur piece and walking down the aisle pretending she was a movie star. “Sometimes they would have a vaudeville show following the movie. This was a stage show with musicians, magicians and comedians performing on the stage. 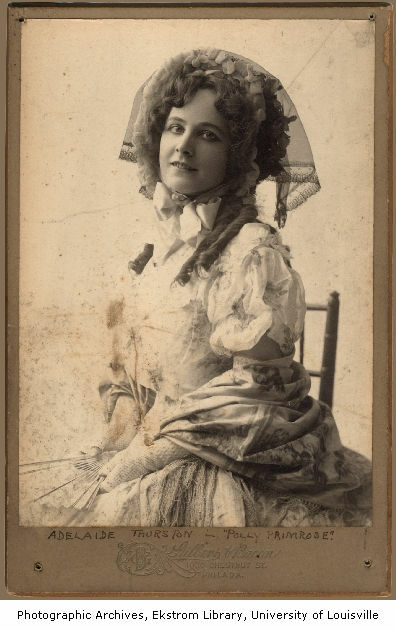 A lot of performers got their start doing vaudeville. 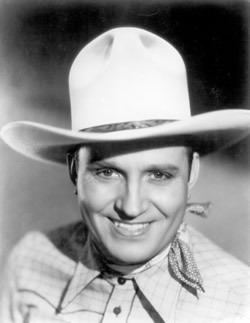 I think Gene Autry was here one time. There was a huge shade with advertisements on it that they pulled down before the performance. I remember particularly the fish advertising Giardina’s Restaurant and an old Ford automobile advertising Myrick’s Ford Company. They had dressing rooms under the stage. They also used the Paramount for beauty revues, dance recitals and other things. Wouldn’t you love to find those old movie reels? Or the piano that sat down at the front of the Paramount? Perhaps the technology exists now to slow that jerky film down and we could spot Tiny, Mamie and Sara scooting by, on their way, not to Barrett’s, but to Hollywood, three little starlets just waiting for their big break. I watched a lot of Dean Jones and Hayley Mills movies in that old theatre, usually with Sara in the next seat, munching buttered popcorn and laughing at the ugly dachsunds, talking Volkswagens and nutty professors. She had her limits, though: No Elvis movies and nothing where dogs died. Musicals were a special treat, often seen again and again if we liked the songs. 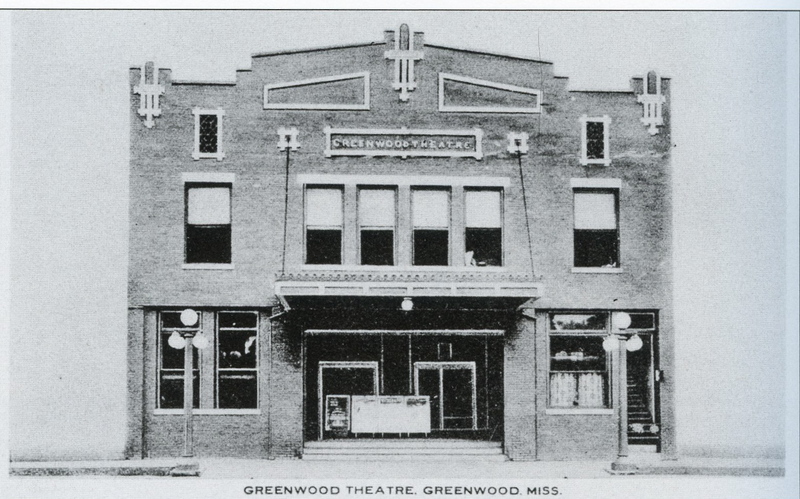 She would whisper stories about the dressing rooms underneath the stage, and I was convinced that every star in Hollywood had begun their career on the planks of Greenwood’s Paramount. It was a sad night when Sara called and told me that the old theatre had collapsed in flames, taking all those memories and buckets of popcorn grease with it. Adelaide Thurston. Was she in Greenwood in 1913? It opened with “The Love Affair,” starring Adelaide Thurston (movie? play? opera? Who knows?) in January, 1913, just about the time that Jessie West landed in Greenwood. 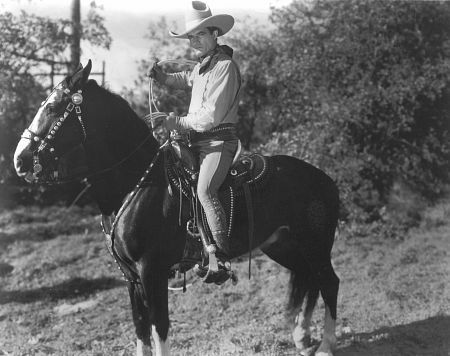 Live stars included Tom Mix and Moro, the Human Icicle. This is Tom. No photo available of Moro, the Human Icicle.